The first fans marketed in the United States were made of brass, and then later made of steel. The wire cages that surrounded the blades were not child-safe, since even an adult could easily get hands and fingers through the frame. This resulted in many accidents, especially for young children who did not understand the danger involved in reaching inside to touch the whirling metal blades. Since then, safety has become a concern, and companies that make fans have begun to make fans that are difficult, if not impossible, for children to reach into. Most of the time, fans are now made with plastic blades, too. While they do not last as long as the old metal table top fans, they are much, much safer. 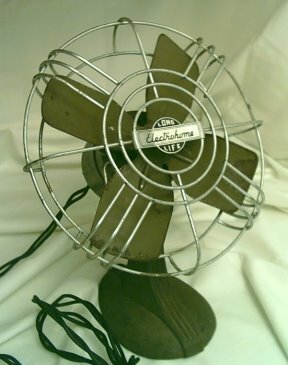 Actually, according to Steve Cunningham, the wire cage was not installed to prevent injury to people, but rather to prevent damage to the fan blades and the motor. Even so, children should be warned of the danger of fans, especially of fans with metal blades. Keep fans away from small children. Ensure their safety! The only really safe fan for small children is one that has tiny openings in the wire or plastic cage, or one that has no blades at all, such as Dyson Bladeless Fans.